Anna Mason, from ARC, said, “We are thrilled to have been chosen for the campaign. Now we can help more abandoned animals in South Wales. There is a huge demand for our services. We rescued over 2,000 animals last year. nextbike managing director, Julian Scriven, said: “We’re passionate about inclusion and making a real difference to the communities within which we operate, so the nextbike For Charity campaign seemed like a great idea. Cardiff has really taken the scheme to its heart and we wanted a way of saying thank you. 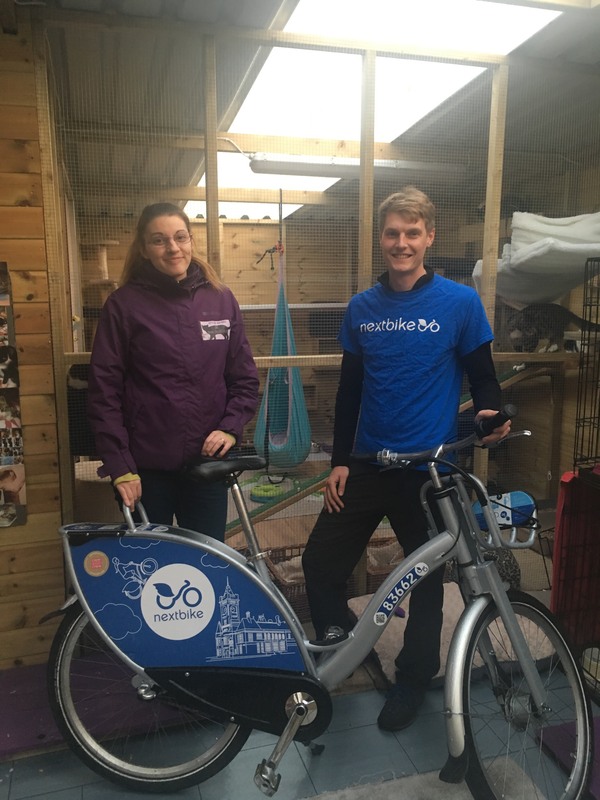 First launched in Bath in 2014 and also operating in Glagow, Milton Keynes, Exeter, Belfast, Surrey and the University of Warwick, nextbike has grown to become one of the most integrated modes of transport for users across the country.